Are you ready for a short lesson in quantum physics? Okay, here goes. Science tells us that every cell in the human body is made up of atoms. An atom — you may remember from fifth grade — is basically a whirling vortex of energy. This energy gives off vibrations or waves, also known as frequencies. These electromagnetic waves or frequencies produce sound and are measured in hertz (Hz). One of these frequencies, the 528 Hz, is known as the miracle tone. It is used in sound healing to rejuvenate the psyche and repair the body. The same tone is used in Sanskrit and Gregorian chants and coincidentally is the exact frequency of the earth’s vibration. Since we are living breathing organisms, our personal energy is constantly in flux. On any given day we may be bombarded with negativity. Grumpy people, violence in the news, chemicals in our food, even our electronics; they all zap our energy and lower our frequency. A low vibration is related to lethargy, depression and sickness. Whew, enough of the science; now for the good stuff. All you have to do to create a peaceful, harmonic balance in your body is put on a set of headphones and listen. 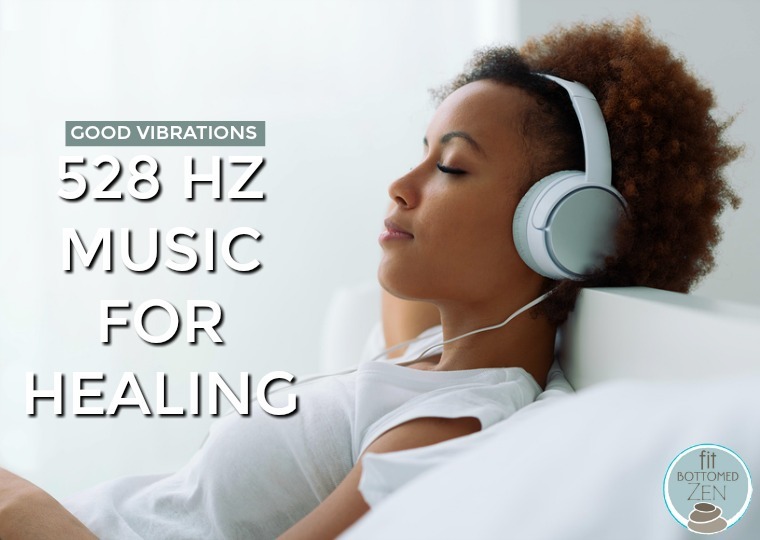 Sound healing uses the 528 Hz frequency to combat anxiety, stress, depression, sleeplessness and chronic pain. It can also boost the immune system and has been proven to repair DNA! The tone is mixed with soothing music for easy listening; it’s a great tool for meditation and chakra clearing, also. The next time you feel your personal energy has dwindled, heal yourself naturally with noninvasive sound healing. You’ve got nothing to lose but negative energy!